The Jacksonville Public Library offers a number of different options that support educators, including our Educator Card, online databases, and outreach to classrooms. Literary Science Sparks was created to address the needs of students to read both literary and informational texts, and to assist science teachers by providing ideas for standards driven, cost effective classroom activities. According to a national study by the Kaiser Family Foundation, the average child in the United States spends roughly 4 ½ hours a day watching TV, 2 ½ hrs listening to music, and 1 hour 15 minutes playing video games… Less than 4 minutes a day is spent reading nonfiction or informational texts (Rideout, Foehr, & Roberts, 2010). The Florida language arts, literacy, and Next Generation science standards attempt to correct this imbalance by placing an emphasis on reading nonfiction. “By fourth grade, half of what students read needs to be informational text, and the percentage continues to grow. By a student’s senior year of high school, 70% of what they are reading needs to be information based. It is important to note that these percentages cut across students’ curriculum and are not required of individual content courses” (National Governors Association Center for Best Practices, Council of Chief State School Officers, accessed November 2015). What they read makes a difference to students educational success. Reading fiction provides enjoyment, increases vocabulary and language comprehension, encourages empathy towards other people, and improves communication skills. “One reason reading nonfiction may be so important is that it helps students develop their background knowledge, which itself accounts for as much as 33% of the variance in student achievement” (Marzano, 2000). Reading nonfiction also helps to develop research skills and teaches students how to critically evaluate sources of information. “Increasing the amount of students’ nonfiction reading- such as biographies- could better prepare students for the years ahead” (World Book, 2017). Literary Science Sparks addresses these issues by offering a literary and informational pairing of texts chosen with grade level content and curriculum support in mind. Each grade level from 6-12 has its own resource page that includes the standards addressed, the text pairings, book discussion questions, and a lesson plan for a classroom activity. SC.6.L.14.3: Recognize and explore how cells of all organisms undergo similar processes to maintain homeostasis, including extracting energy from food, getting rid of waste, and reproducing. This interesting nonfiction book takes a look at the microbes that live on our bodies: in our hair, on our skin, and the ones we pick up everywhere we go. We’re microbiomes: a walking, talking collection of microbes, and Inside Your Insides introduces us to some of the most common microbes we share our surroundings with. We learn about bacteria, archaea, viruses, fungi, protists and mites; their preferred environments; and all the places they live on and around us. In The Astounding Broccoli Boy, Tommy Lee has an allergic reaction to nuts. What happens in the human body when it is having an allergic reaction? Do you have any allergies? Dr. Brightside performed experiments on Rory and Tommy Lee; what does she hope to prove? Based on the results from the experiments, what caused Rory and Tommy Lee to turn green? The Viral Epidemic program will demonstrate to students the nature of a virus and how it can spread quickly with minimal contact. This program develops the core academic skills of collaboration and connection by students sharing the responsibility for the outcome. The class is reading a book about microbes that live in our bodies: in our hair, skin, and the ones we pick up everywhere we go. We are microbiomes: a walking, talking collection of microbes. In the activity today you will be experiencing a viral epidemic. This activity is going to demonstrate how a virus spreads. Afterwards, we’ll compare results, evaluate the outcome, and answer some questions about viruses. Designate one student as the viral “carrier” and give her a sheet of red stickers. Instruct the students to begin circulating around the room once the 60-second timer starts, and instruct the carrier to place stickers on as many students as possible. For round two, give the carrier and three of the infected students each a sheet of green stickers, and repeat the process. After this round, count the number of newly infected students and the total infected, and compare results. Explain that at first only one person spread the virus, but after the virus incubated, others started to spread it as well. What is a virus? Describe the structure of a virus. What are different ways that we spread a virus? Can anyone name some differences between bacteria and viruses? LAFS.7.RL.1.1: Cite several pieces of textual evidence to support analysis of what the text says explicitly as well as inferences drawn from the text. LAFS.7.RI.3.AP.9a: Use supporting evidence to summarize central ideas, draw inferences or analyze connections within or across texts. CTE-TECED.68.ENGTEC.04: Demonstrate an understanding of the engineering process. CTE-TECED.68.ENGTEC.04.02: Describe the experimental method as it is applied to design. SC.912.E.5: The origin and eventual fate of the Universe still remains one of the greatest questions in science. Gravity and energy influence the development and life cycles of galaxies, including our own Milky Way Galaxy, stars, the planetary systems, Earth, and residual material left from the formation of the Solar System. Humankind’s need to explore continues to lead to the development of knowledge and understanding of the nature of the Universe. In this memoir adapted for young readers, William Kamkwamba describes the drought that struck his tiny village in Malawi, his subsequent interest in science, and his idea to build a windmill. Made out of scrap metal and old bicycle parts, William’s windmill brought electricity to his home and helped his family pump the water they needed to farm the land. What are the differences between Noah and Abby? Why are they a good team? Which substance did Abby and Noah use to mark the trace of contamination in the lake? How does the substance work? List some of the things you can do in your community to avoid environmental contamination. Don’t Use It All Up is an introduction to the topic on how growing populations can affect the environment. Students will research a natural resource – how it can be exhausted and how we can help to conserve it. They will discover how human populations are resource consumers. There is an abundance of water on this earth. Unfortunately, nearly all of the water, more than 97 percent, is salt water and is neither easily nor economically available for humans to consume. Most of the freshwater supply is held in glaciers and icecaps, making it unavailable for human consumption. Less than one percent of water on the Earth is freshwater in the form of groundwater, lakes, and streams. Students will put about four cups of water in the container. Cut each sponge into 4 pieces. Discuss with the students the ways we use water and write them on the board. Have the students, with a marker or masking tape, mark the water level on the outside of the container. Drop a piece of a sponge into a container as you share one personal demand you made on water today. Remove the wet sponge from the container and have students examine the water level. It probably shows very little change. Ask the students, one at a time, to name a personal demand they made on water today while dropping a piece of sponge in the container. After all the sponges have been dropped in the container, soaking up as much water as possible, remove all of them (don’t squeeze them out) and set them aside in a bowl. Draw attention to the dramatic change in water level. Help the students understand that the demands of a lot of people have more effect than the demands of a few people on natural resources. Take one wet sponge, naming a way you can reduce or recycle, and squeeze the water out of the sponge back into the container. There is a change in water level, but not much. One person reducing and recycling does make a difference but the impact will be greater when many individuals reduce, reuse, and recycle. What happens to the water level as we put in more sponges? What will happen if we keep using water at this rate? How can we give water back to the environment? Can the water in this activity represent other resources people use? What are some resources which cannot be recycled? Name some. How they can be conserved? What one thing you have learned from this demonstration? SC.8.E.5.In.7: Compare conditions on other planets in the Solar System to those on Earth, such as gravity, temperature, and atmosphere. SC.8.E.5.Pa.4: Recognize a technology tool created for space exploration and adapted for personal use, such as computers, telescopes, or satellites. “Nick and Sophie, two cousins from the United States, visit CERN, the European Organization for Nuclear Research and learn about the Large Hadron Collider. Throughout their tour, they chat about the mysteries of particle physics and the building blocks of matter”– Provided by publisher. “Twelve-year-old Christopher Nichols and his family live on a new planet, Perses, as colonists of Melming Mining’s Great Mission to save the earth. When Landers, as the attackers are called, obliterate the colony to steal the metal and raw ore, Christopher and a small group of survivors are forced into the maze of mining tunnels below the surface of Perses”– Provided by publisher. Christopher and his friends live on a newly discovered planetoid. Under what circumstances would you consider living on a different planet? What differences do you think there would be between Earth, and a newly established planetoid? Which parts of MINRS do you think could happen in real life? What lessons can we learn about our Earth and resources from this book? What is solar interference? How does it cause the communication blackout on Perses? Could it affect our daily life on Earth now? How? The Surviving on the Moon activity encourages students to think about the necessities for life on the Moon by ranking critical survival items in order of importance, then comparing them to NASA’s rankings/reasonings. This will develop the core academic skills of creativity and innovation by identifying multiple solutions to problems and imagining new ideas. Our class has been reading a book about people colonizing a new planet. Today we will be completing an activity using your knowledge of the Earth’s Moon and its atmosphere. You will be working in groups to rank survival items in order of importance to complete your mission. If you need more information to make a decision, please use the database Science in Context to look up facts about the Moon. Groups will then present their ranking order and reasons for their decisions to the rest of the class. As a class, we will compare the rankings to the official NASA answers, and see who among us survived! Group members should be instructed to rank the objects individually (–10 min) and then in groups (15 min.). In the group part of the exercise, all groups should be instructed to employ the method of group consensus, which requires each group member to agree upon the rankings for each of the 15 survival items. Instructor should ensure that students interact only within groups and no cross-talking occurs between groups. Allow group members to use Science in Context database to answer questions and verify facts about the Moon. Together, share the official NASA rankings and have the groups calculate their scores. Which groups did the best? Which groups would not have survived? How/why would your rankings of items change if the group was stranded on Mars? Saturn? As a group, you had to come to a consensus about each item. What was the hardest thing about this? Do you think being in a life or death situation would make it easier or harder to agree with your group members? What information were you able to find on the database? How did that help inform your decisions? You are a member of a space crew originally scheduled to rendezvous with a mother ship on the lighted surface of the moon. However, due to mechanical difficulties, your ship was forced to land at a spot some 200 miles from the rendezvous point. During reentry and landing, much of the equipment aboard was damaged and, since survival depends on reaching the mother ship, the most critical items available must be chosen for the 200-mile trip. Below are listed the 15 items left intact and undamaged after landing. Your task is to rank order them in terms of their importance for your crew in allowing them to reach the rendezvous point. Place the number 1 by the most important item, the number 2 by the second most important, and so on through number 15 for the least important. For each item, mark the number of points that your score differs from the NASA ranking, then add up all the points. Disregard plus or minus differences. The lower the total, the better your score. 71 – 112 very poor – you’re one of the casualties of the space program! LAFS.910.RST.1.1: Cite specific textual evidence to support analysis of science and technical texts, attending to the precise details of explanations or descriptions. LAFS.910.RST.1.2: Determine the central ideas or conclusions of a text; trace the text’s explanation or depiction of a complex process, phenomenon, or concept; provide an accurate summary of the text. SC.912.E.6.In.4: Identify natural geological processes that change the land and water in Florida, including beach erosion and sinkholes. Describes how global warming has made the Arctic’s oil, gas, natural resources, and minerals more accessible and how competition between nations and corporate interests for control of the resources is endangering the Arctic’s fragile ecosystems. –Publisher’s description. What was the first major effect of the moon being knocked out of orbit? How did that affect the world? Why was the climate so dramatically different? What impact did that have on people’s chances for survival? Which of the things that Miranda has to do without do you think would be the hardest for you to live without? Why? This natural disaster is very extreme: is there any part of what happens that seems realistic? The Sinkholes in a Cup activity encourages students to work together in exploring the nature of sinkholes. This will develop the core academic skills of teamwork and collaboration, by having them plan, organize, and reflect on the activity. DVD 551.447 NOVA Nova. Sinkholes [videorecording] : buried alive by LarryKlein (Producer). Have students work in groups of 3-4. Provide these instructions to each group, along with the materials. When the groups have completed the activity, bring them back together and use the questions for a class discussion. SC.912.L.16.Su.2: Recognize that all organisms have a substance called DNA with unique information. About 4,000 unidentified deceased persons are discovered in the United States every year. But forensic experts are successful in identifying about 3,000 of those bodies within a year. In Forensic Identification: Putting a Name and Face on Death, forensic anthropologist Dr. Elizabeth A. Murray takes readers into the morgues and forensic labs where experts use advanced technology to determine the identities of dead bodies whose names are not known because the bodies are mutilated, decomposed beyond recognition, or cut into pieces. She also explores what happens to the bodies and remains that belong to people who have been missing for so long that law enforcement and forensic files are no longer active. The focus of the story is on the forensics used to solve crimes. How did Erin collect DNA samples from here suspects? Was this legal? What do you think the author was trying to accomplish with this novel? Has it sparked any interest in forensic science for you? CSI Science: Get the Prints will engage students in hands on investigation, allowing them to collect and analyze fingerprints. This will develop the core academic skill of problem solving by having the students support possible solutions with facts and details. The patterns of ridges on our fingers are unique. No two individuals, even identical twins, have fingerprints that are exactly alike. We leave impressions, or prints, of these patterns on everything we touch. Sometimes the prints are visible, such as when our fingers are dirty or oily. Other times they’re “latent” and are made only by the sweat that is always present on our finger ridges. Not even injuries such as burns or scrapes can change the fingerprint structure. The easiest method to take a fingerprint is to rub pencil lead all over a small area of paper or index card to make an “ink” pad. Press your fingers onto the penciled area, then lift the prints from your fingers with transparent tape and place the tape on a white index card for reading. Before the activity, place your fingerprints on some common classroom objects such as computer screens, desktops, and white boards. Have the students look at their fingerprints with a magnifying glass and try to identify what type they have. The Federal Bureau of Investigation categorizes prints by three main patterns: arches, loops, and whorls. Have your students use the Internet to find pictures to help identify the unique characteristics of their fingerprints. To dust for fingerprints, sprinkle talcum powder or cornstarch on dark surfaces and cocoa powder on light surfaces where you left visible prints. Have the students use the small paint or makeup brush to gently swipe off the excess powder. Next place a large piece of transparent tape, or clear packing tape, over the print, carefully peeling off the fingerprint and placing it on an index card or piece of white paper. Challenge students to identify the arches, loops, and whorls within the lifted “latent” fingerprints to see who it belongs to. Extension: Certain chemical fumes react with the perspiration or organic residue left in a fingerprint. Have your students experiment for themselves: all they need is a square of aluminum foil folded in fourths, a glass jar, “Superglue,” and a smooth object like an ink pen. They should wipe down the object and then hold it for a minute so that their fingers leave prints. Set the object inside the jar. Next, put several drops of superglue on the middle of the pie plate and turn the jar upside down over it. The strong chemical fumes from the cyanoacrylate in the glue will react with the residue from fingers enabling them to see white fingerprint images on the object after about half hour. Is it possible that two people could have identical fingerprints? In what ways besides solving crimes can fingerprint identification be used? Nowadays, police seem to prefer DNA evidence to fingerprint evidence. Why do you think this might be the case? Not everyone’s fingerprints are in the FBI’s computer database. Generally, only people who work for the government, immigrants to the United States, and those people who have been arrested have their fingerprints saved. Do you think everyone in the United States should have their fingerprints taken? Why or why not? LAFS.1112.RST.1.2: Determine the central ideas or conclusions of a text; summarize complex concepts, processes, or information presented in a text by paraphrasing them in simpler but still accurate terms. SC.912.P.8.4: Explore the scientific theory of atoms (also known as atomic theory) by describing the structure of atoms in terms of protons, neutrons and electrons, and differentiate among these particles in terms of their mass, electrical charges and locations within the atom. If you joined the spy world, what would be your secret weapon? Body armor and weapons like Kevin, biological agents and chemicals like Alex, the art of disguise like Val, or would you bring something else to the table? Which agents or chemicals are most likely to be used to create a deliberate outbreak? How would governments find out that a deliberate outbreak had taken place? What treatment is available? Would mass vaccination be an option in the case of a disease outbreak? Should people be vaccinated now as a prevention, and if so against what? 539.7 OXLADE 2007 Atoms by Chris Oxlade. 546 KEAN The disappearing spoon : and other true tales of rivalry, adventure, and the history of the world from the periodic table of the elements by Sam Kean. Welcome to Periodic Table Battleship. Hello, my name is ___________. Today we are going to be exploring the periodic table and then we will play Periodic Table Battleship! 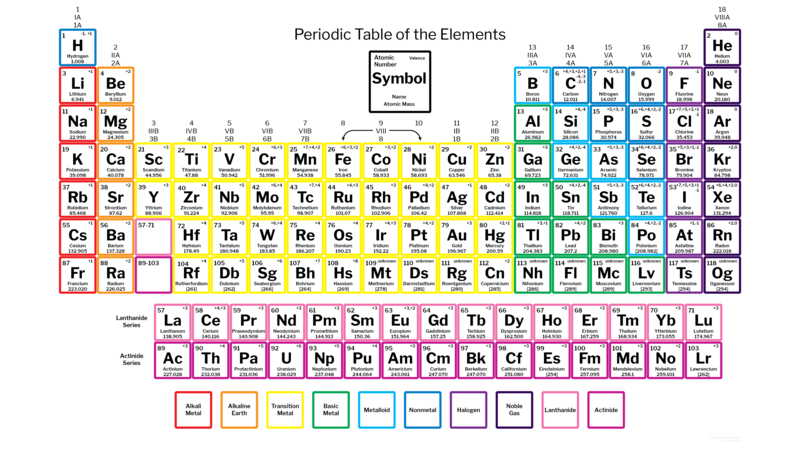 First, let’s take a look at what we will find on the periodic table of elements. Elements are substances that cannot be broken down into simpler forms of matter, and they are the primary constituents of all matter. The elements are the basis of all chemical interactions, and the implications of the ways in which atoms interact are relevant to every aspect of our lives, from health to technology, energy, and the environment. Atoms consist of protons, neutrons, and electrons; the nucleus consists of protons and neutrons, with electrons orbiting in shells. Protons have a positive charge, electrons have a negative charge, and neutrons have no charge. Changing the numbers of protons, electrons, or neutrons changes an atom and can create different elements and isotopes; isotopes are atoms of a single element that differ in number of neutrons, and can be stable or unstable. Laminate copies of periodic tables. Glue or paper clip two copies of the table on the inside of file folders. Game Play: Each student needs to make his or her ‘ships’ with dry erase marker on the periodic table that is laying flat on the file folder. You decide how many and what kind of ships are in play. The shape can vary as well (some horizontal and some vertical). The top periodic table on the file folder is used to show what are hits or misses for the opponent. The player who sinks all of his or her opponent’s ships first is the winner. What happens to an atom when its structure is changed? How do knowledge and understanding of elements impact different aspects of our lives? LAFS.1112.RST.3.8: Evaluate the hypotheses, data, analysis, and conclusions in a science or technical text, verifying the data when possible and corroborating or challenging conclusions with other sources of information. SC.912.P.12.Pa.1: Recognize that objects travel at different speeds. SC.912.P.12.Pa.2: Identify the speed and direction of a moving object, including fast and slow, up and down, round and round, straight line. SC.912.P.12.2: Analyze the motion of an object in terms of its position, velocity, and acceleration (with respect to a frame of reference) as functions of time. This interesting nonfiction book takes a look at the microbes that live on our bodies: in our hair, on our skin, and the ones we pick up everywhere we go. We’re microbiomes: a walking, talking collection of microbes, and Inside Your Insides introduces us to some of the most common microbes we share our surroundings with. We learn about bacteria, archaea, viruses, fungi, protists and mites; their preferred environments; and all the places they live on and around us.Want to understand black holes, antimatter, physics, and space exploration? Looking for a common sense guide to quantum physics that you can actually understand? Rocket Science for the Rest of Us is the book you’re looking for! Get a grip on even the most mysterious and complex sciences with Ben Gilliland’s guide to dark matter, exo-planets, Planck time, earth sciences, and more. Cram ten hormonal teens into a spaceship and blast off: that’s the premise for the ill-conceived reality show Waste of Space. The kids who are cast know everything about drama–and nothing about the fact that the production is fake. Waste of Space is an epistolary novel, a story told through transcripts, emails, news releases, etc. Do you think this style of storytelling enhances this novel as a work of science fiction? Why or why not? Given what you know about force, energy, and space travel, would you have believed that you were shot into space if you had been a member of the cast? What are some clues that the show might have been faked? Does the pictograph on page 84 really explain how advances in “astronomically scientific research” have made the crew weighted in the space environment? How do you think the Spacetronauts were able to levitate during episode 4 (page 220)? Who/what was the protagonist of the novel? Who/what was the antagonist of the novel? Do you think the author of this novel needed a scientific background to write it? What kind of scientific knowledge would have been useful? The Hovercrafts! Program will engage teens in the building of a small hovercraft, teaching them how friction is used to control vehicle speed. This will develop the core academic skill of problem solving by allowing them to use a problem solving process and support possible solutions with facts and details. SC.912.P.10– A. Energy is involved in all physical and chemical processes. It is conserved, and can be transformed from one form to another and into work. At the atomic and nuclear levels energy is not continuous but exists in discrete amounts. Energy and mass are related through Einstein’s equation E=mc2. Hello. Welcome to our scientific exploration of forces and energy. My name is _________. Today, we are going to specifically explore how friction affects moving objects by making our own hovercrafts. Friction is the force created when two objects move across each other to oppose the movement. An object gliding on the floor stops because of friction. When friction is reduced, a gliding object moves faster, farther and for longer. Have you ever ridden on a hovercraft? It is like gliding on a cushion of air! In fact, that’s exactly what you’re doing—a hovercraft is a vehicle that uses friction to glide over a smooth surface on a cushion of air. In today’s activity, you’ll get to build your own mini hovercraft using household items. As we build and test our hovercrafts, think how different amounts of air in the balloon affect how long the hovercraft hovers. Remove a pop-top lid from a plastic drinking bottle. Glue the base of the lid to the CD (or DVD) so that the lid covers the hole in the center with the hot glue gun. Make sure the pop-top lid is closed. Blow the balloon up as large as you safely can without popping it, then pinch the neck so that no air can escape. Stretch the neck of the balloon over the pop-top lid, being careful not to let any air escape. Carefully center the balloon’s opening above the pop-top lid opening. Your completed hovercraft should have CD flat on the bottom, pop-tip lid above and the inflated balloon’s neck stretched snugly around the closed lid. Your hovercraft is now ready to do some hovering! Place the hovercraft on a flat surface. Start your stopwatch or timer, open the pop-top lid and push the hovercraft. Stop the stopwatch when the hovercraft stops hovering. How long did the hovercraft hover? Have participants record time on their Observation Sheet.Detach the balloon from the pop-top lid. Repeat this process two more times, inflating the balloon as large as you safely can, reattaching it to the pop-top lid, and timing how long the hovercraft hovers. Have participants record times on their Observation Sheet. Repeat this process three more times, but this time only inflate the balloon to medium size. For example, if it took three breaths to blow the balloon up as large as you safely could, use only two breaths or a little less to inflate it this time. Overall, which size balloon allowed the CD hovercraft to hover for the longest amount of time? Which allowed it to hover for the shortest duration? Given what you know about friction, how did friction affect our hovercrafts’ ability to travel longer distances? Based on your observations and knowledge of friction, how do you think hover time would be affected if you changed the surface to pavement? Or glass? How long did the CD hover using a large size balloon? Did the craft hover for about the same amount of time each of the three times you tested it using a large balloon? How long did the CD hover using a medium size balloon? Did the craft hover for about the same amount of time each of the three times you tested it using a medium balloon? How long did the CD hover using a small size balloon? Did the craft hover for about the same amount of time each of the three times you tested it using a small balloon? Engineering Don’t Use It All Up! 10 Biology/Forensics CSI Science: Get the Prints! Boyce, Frank Cottrell. (2017). The Astounding Broccoli Boy. Turtleback Books. Damico, G. (2018). Waste of space. S.l. : Houghton Mifflin Harcourt. Dingle, A., Kennedy, K., & Kean, S. (2018). The disappearing spoon: And other true tales of rivalry, adventure, and the history of the world from the periodic table of the elements. Eamer, C., & Tremblay, M.-E. (2016). Inside your insides: A guide to the microbes that call you home. Gilliland, Ben. (2015). Rocket Science for the Rest of Us: Cutting-edge Concepts Made Simple. Paw Prints. Kamkwamba, William, & Mealer, Bryan. (2016). The Boy Who Harnessed the Wind. Turtleback Books. Latta, S. L., & Weigel, J. (2017). SMASH! : Exploring the mysteries of the universe with the Large Hadron Collider. McPherson, S. S. (2014). Arctic thaw: Climate change and the global race for energy resources. Meyer, S. (2018). The chemist: A novel. Murray, E. A. (2013). Human identification: Putting a name and face on death. Minneapolis, MN: Twenty-First Century Books. Pfeffer, Susan Beth. (2008). Life As We Knew It. Bt Bound. Scarborough, S. (2018). To catch a killer. Marzano, R.J. (2000). A new era of school reform: Going where the research takes us. Aurora, CO: McREL. Michael, J. (2006). Where’s the evidence that active learning works? Advances in Physiology Education, 30, 4, 159-167.